NPH Mexico is the oldest and first home in the NPH family with its main facility in the town of Miacatlan south of Mexico City. It is home to over 435 children and is a small town in of itself with schools, chapel, dining hall, clinic, administrative buildings, gardens and its own farm. Additionally, 148 students attend the NPH vocational school in Cuenavaca and 70 young adults are attending university and living in Monterrey, Mexico. Another home was opened in the northern part of the country in 2008 and is home to 31 younger children. NPH Mexico is very proud of their extracurricular programs and have a dance and music troupe that travels abroad to places in the U.S., Europe and Canada to raise funds for their family in Mexico. Nuestros Pequeños Hermanos™ first home was established in Mexico in 1954. An old, converted sugar plantation, Hacienda San Salvador, now serves as the main facility for the large family of approximately 1,000 children. Always bustling with activity, it is located in the small village of Miacatlán, 27 miles southwest of Cuernavaca, and 77 miles south of Mexico City. NPH Mexico boasts an excellent educational system, with its own primary and secondary schools. Many of the paid teaching staff are former pequeños (those who were raised at the orphan home). Older children attend the NPH vocational school in Cuernavaca and learn a trade to support themselves. 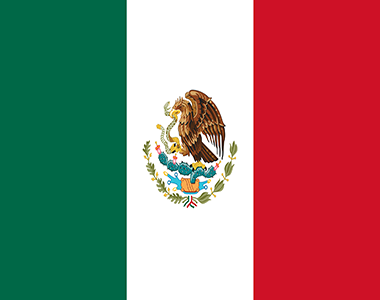 Many go on to university in Mexico City or Monterrey. Extracurricular activities are a valuable part of the pequeños’ days. Aside from an active sports program, NPH Mexico can boast of its young people’s talent as musicians, folk dancers and Tae Kwon Do athletes. At least two times each year, a troupe of youngsters travels abroad to Canada, Europe or the USA, performing their own Ballet Folklórico to raise funds to help support their family. In 1999, a program began to help the families living at the garbage dump of Milpillas, 15 minutes from the home of Miacatlán. The dump has since ceased operating, but still remains as a living community. Currently over 100 girls and boys are picked up by bus every day and brought to Miacatlán where they receive food and a shower before joining the rest of the NPH children in school. There is a museum in Cuernavaca which houses all of the archives of our founder and homes from the beginning!